TM-Flow is the only available device for the early detection and monitoring of neuropathic and vascular complications resulting from chronic diseases, such as Diabetes. TM-Flow is a Medical Device Data System measuring vital signs such as heart rate, SpO2%, blood pressure, and Galvanic Skin Response. ​The vital sign measurements use 3 technologies: SweatC, LD-Oxy and TM-ABI. ANS-1 system integrates 3 technologies based on Galvanic skin response , photoplethysmography analysis and oscillometry to assess the Autonomic Nervous System and Peripheral circulation. 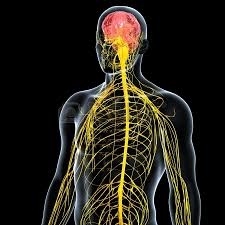 ANS-1 System manages the Autonomic Nervous System battery of tests recommended by the American Academy of Neurology since 1996, and the Cardiovascular Autonomic Neuropathy Subcommittee of the Toronto Consensus Panel on Diabetic Neuropathy, for assessing the Autonomic Nervous System. Autonomic testing is recommended for all patients with type 2 diabetes at the time of the diagnosis, and 5 years after diagnosis in individuals with type 1 diabetes.